Dwain Chambers produced a stunning display to win the 60m final in the fastest time this year at the indoor World Trials and UK Championships. 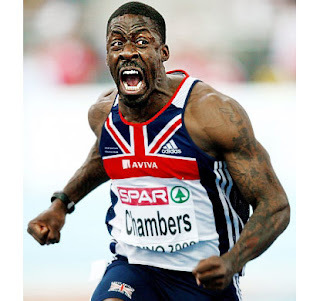 Chambers, 31, confirmed his prospects as a World Indoor gold medal contender with a time of 6.50 seconds. Harry Aikines-Aryeetey finshed second with a personal best of 6.55secs with Craig Pickering in third in Sheffield. Chambers, who won silver at the World Indoors in 2008 in Valencia, is now ranked number one in the world. suspension for taking performance-enhancing substances, after his victory. “It’s nice to know I have made the team and can hopefully focus my attention towards Doha now.” Chambers will be joined by Aikines-Aryeetey, 21, in the Great Britain and Northern Ireland team for next month’s World Indoor Championships in Doha, Bahrain.